The crab boats have been coming ashore for winter in Blakeney. A lone brave soul remains on the old part of the quay. 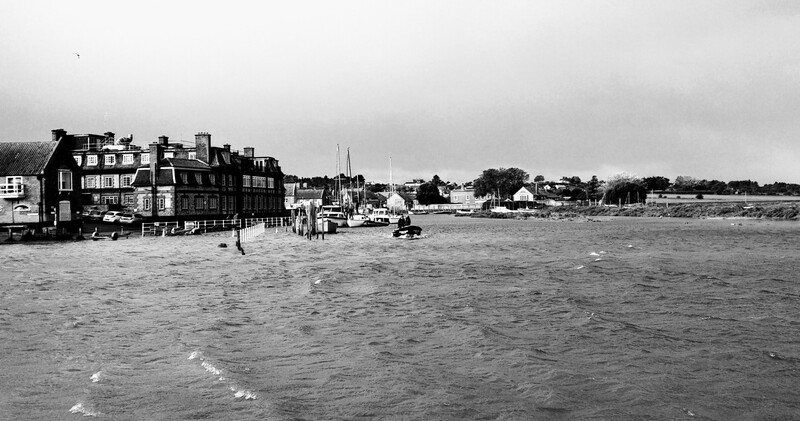 The wind was in the North and West this morning, bringing the tide flooding over The Carnser in Blakeney. One of those gusting, squalling days which speaks of a North Sea changing its temperament and settling into the grumpiness of winter. A single boat was braving the harbour chop, spray breaking over its bows, as the professionals from the boat yard continued about their business, bringing the leisure craft home for winter. It was one of those magical sunsets yesterday, when the heavy, grey sky suddenly lights up at the last minute. Taken at Morston, on one of the little docks where the sailing boats moor.